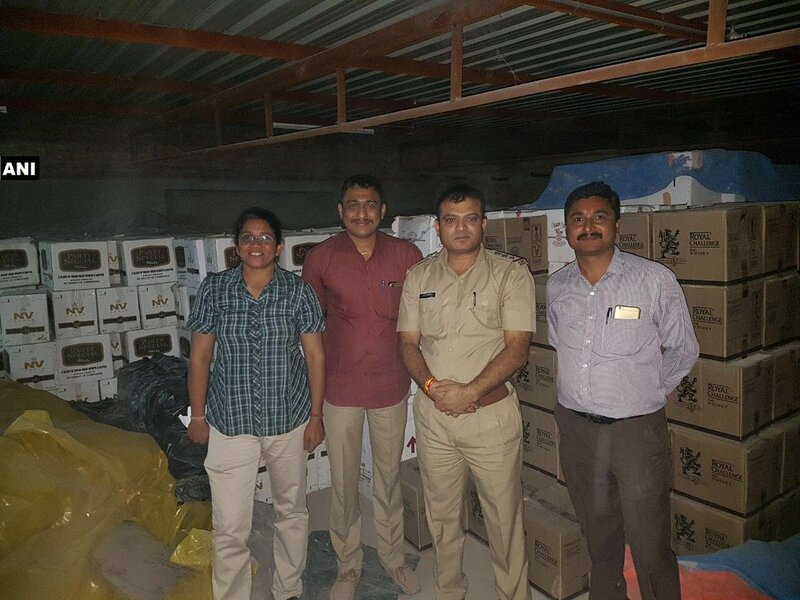 New Delhi/Gandhinagar, Nov 25: In late night raids on Friday, a Gujarat Police team seized Indian Made Foreign Liquor (IMFL) worth Rs 2.2 crore and five vehicles worth Rs 24.15 lakh from Khoraj village, the Election Commission said on Saturday. Police seized 75,968 bottles of IMFL, including those of brandy, from a premises taken on rent by Rohit Yadav, a resident of Uttar Pradesh's Jaunpur who was into metal scrap business. Police said it was being illegally used as godown for bootlegging activities. The seizure is one of the biggest in recent times, police said. "A criminal case has been registered vide Adalaj PSCR No.6266 /2017 under Section 66B, 65A C, 98(2), 116B etc of the Gujarat Prohibition Act, 1949 in this regard and investigation is being carried out into the ownership of vehicles seized during the raid and to identify various people associated with the transportation, storage and sale of liqour," the EC said in a statement. The Gujarat Police has launched a special drive against the bootlegging activities in coordination with neighbouring states of Rajasthan, Maharashtra, Madhya Pradesh and Diu, Daman, Dadra and Nagar Haveli in view of the forthcoming assembly elections, scheduled for December 9 and 14.